Yesterday would have been the late music queen Anita Mui Yim Fong's 52th birthday. Her proteges Denise Ho Wan Si, Calvin Choy Yat Chi, friend Anita Yuen Wing Yi and others remembered her on social media sites. 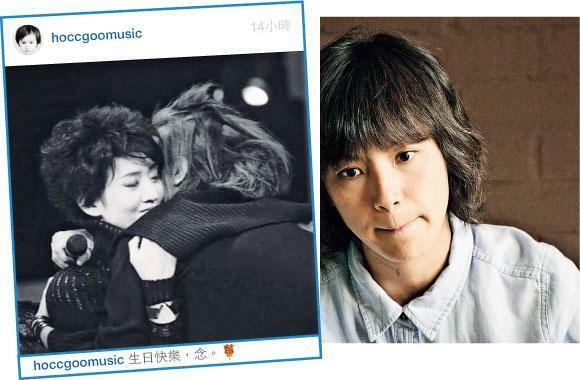 Ho Wan Si on Instagram posted a black and white photo with her in her mentor's embrace. "Happy Birthday, miss you." 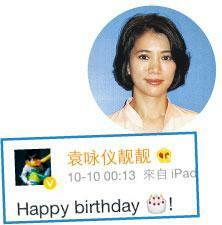 Yuen Wing Yi on Weibo shared Mui Yim Fong's black and white photo and wished her happy birthday. Choy Yat Chi posted on Weibo, "I have never stopped missing you......I say softly: happy birthday!" Florence Kwok Siu Wan retweeted Karen Tong Bo Yu's post, "1010 Happy Birthday! Daughter of Hong Kong!"